“Our mission is to bring generations together with music and musical performances. 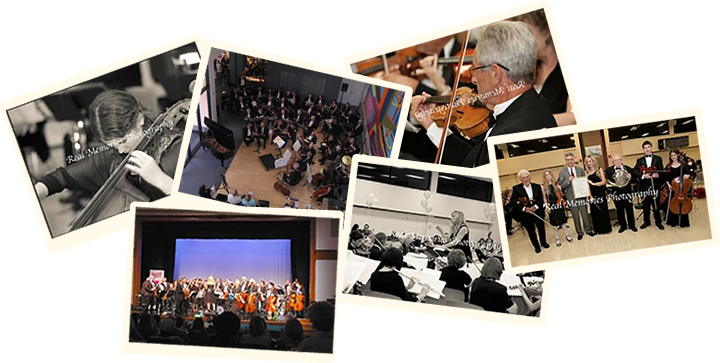 Our unique orchestra environment encourages, nurtures and promotes closer relationships between the generations. residing and visiting South Florida." Lorraine Marks-Field is the founder and conductor of the Florida Intergenerational Orchestra and the New Jersey Intergenerational Orchestra. Lorraine and her orchestras have appeared on CBS and NBC, on programs at the United Nations and the Lincoln Center in NYC. Lorraine has been conducting and teaching since 1977 and has been on the staff of the Pine Crest School in Boca Raton and New Jersey Public Schools. Ms. Marks-Field graduated with a degree in music education/music therapy from Montclair State University. She is a Florida certified music teacher, a member of the Sigma Alpha Iota music fraternity, American String Teachers Association and American Symphony Orchestra League. Lorraine is currently a music teacher at the Hillel Day School and two Montessori schools in Boca Raton. Lorraine is professional in both the piano and the viola and she appears regularly as a violist with the Sunrise Pops Orchestra. Her career in orchestral conducting includes awards and recognition from many national and international organizations. Most recently Lorraine and the orchestra appeared in national publications such as: Making Music Magazine, The International Musicians Journal on Aging. Ms. Marks-Field is available to do workshops/lectures on the topic “Healthy Aging Through Music.” On December 8th, 2011, the State of Florida Department of Elder Affairs, the Commissioners of Palm Beach County and the City of Boca Raton honored the Orchestra for its “Intergenerational Concept”. The SunSentinel also recently named Ms. Marks-Field one of South Florida’s Unsung Heroes. She is also a past recipient of the prestigious “Woman of Distinction Award” sponsored by Soroptimist International of Boca Raton/Deerfield Beach.